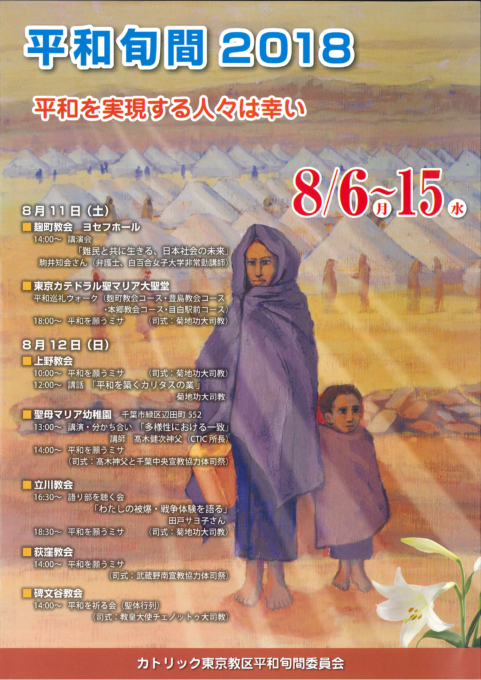 8月18日（SAT）　August 18　10:30 a.m.
Let us pray together to God for peace. Through fellowship,all the parishioners from our churches (Kameari, Toyoshiki and Matsudo) may deepen our mutual understanding and cooperation. 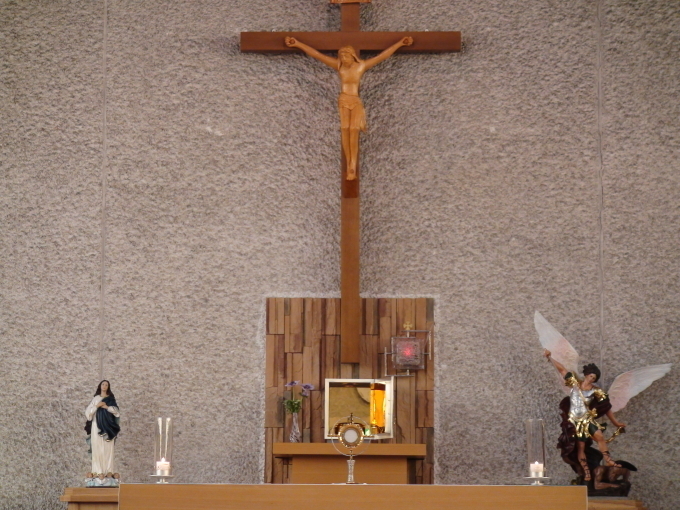 We are looking forward to seeing all of you joining the Mass. No parking space available on the day. Please use the pay parking lot near the church. 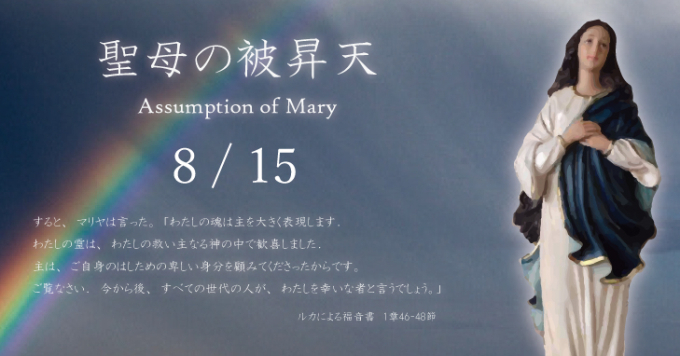 Holy Mass celebrating the Assumption of the Blessed Virgin Mary is celebrated at 10:30 a.m. on Wednesday, August 15th . The Benediction is administered from 10:00 on August 23.